I used to live in Los Angeles, where you can find row upon row of the ugliest and most depressing apartment buildings you could ever imagine. It seems like most of LA was built in a rush. Square buildings, flat roofs, small windows, dull colors. It was there that I developed a real appreciation for architecture. 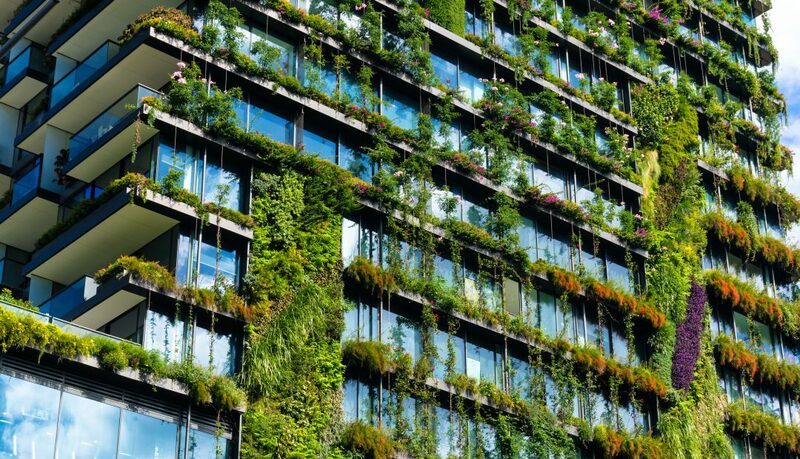 The look of a building really can impact your mood and performance in life. Now I’m always on the lookout for buildings that are ornate, interesting, sleek, unique, and sometimes, even a little weird. 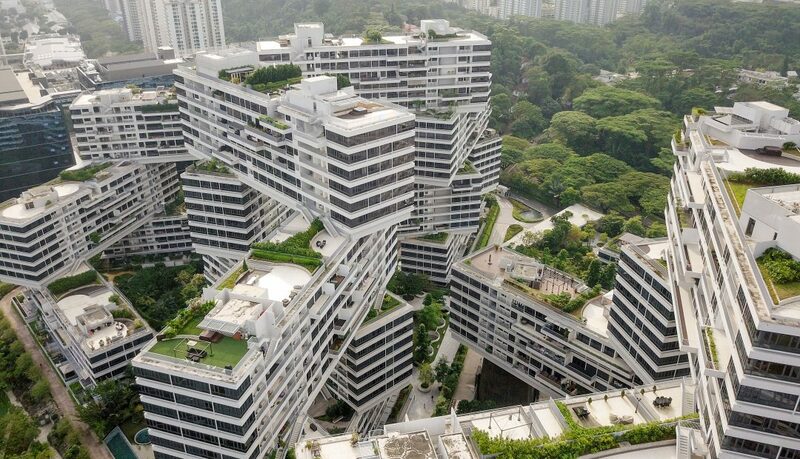 Here are some of the most fascinating buildings around the world. Opened in 2013, One Central Park was a groundbreaking moment for green architecture. Central Park features the world’s largest membrane bioreactor that treats recycled water collected from the buildings roofs, drains, and yes, sewage. 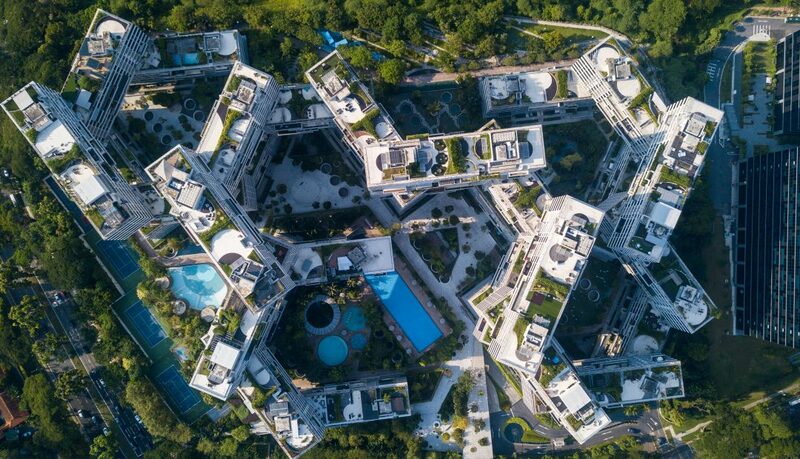 The building is also decked out with immaculate hanging gardens that not only help air quality, but also serve as a esthetic masterpiece. One of the most defining features of the building is it’s suspended cantilevered heliostat. 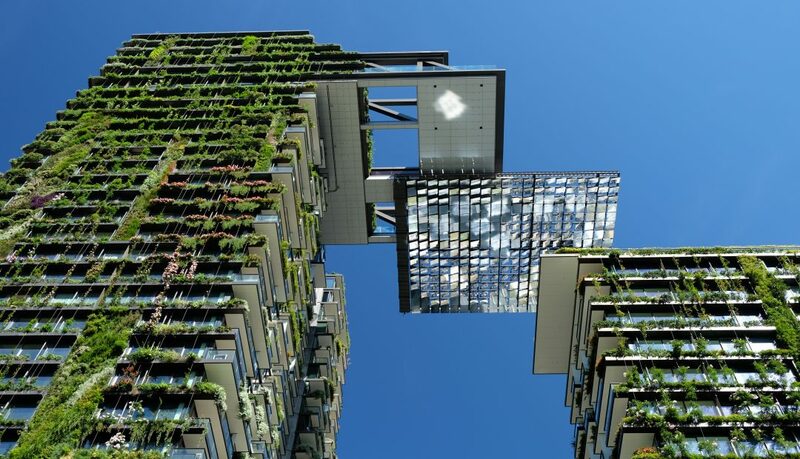 Hanging from the 28th floor, this giant matrix of mechanized mirrors slowly rotate throughout the day allowing sunlight to hit the building’s gardens even if they’re being shaded by the tower. It’s a true combination of innovation and beauty. Have you ever seen a more royal blue in your life? 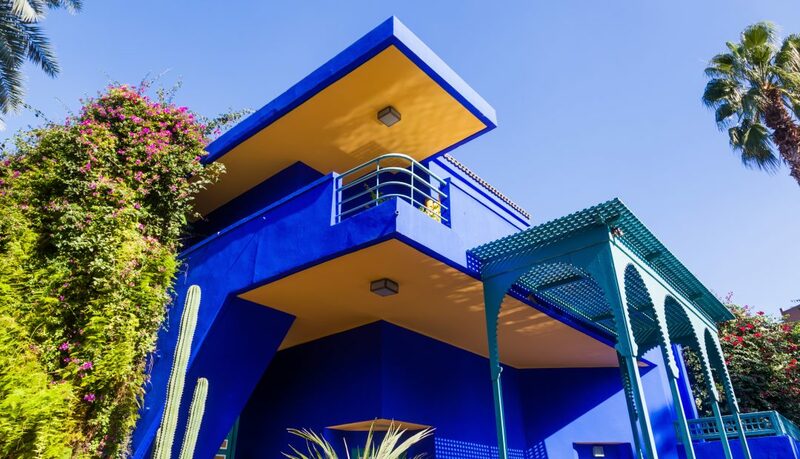 The Jardin Majorelle was an estate built by the late artist Jacques Majorelle, who had fallen in love with the shades of blue he’d seen around Morocco. Sadly, throughout the years, the property had fallen into disrepair. But in 1980, fashion designers Yves Saint-Laurent and Pierre Bergé bought the property and worked to restore it. After Saint-Laurent’s death, his ashes were scattered in the gardens. 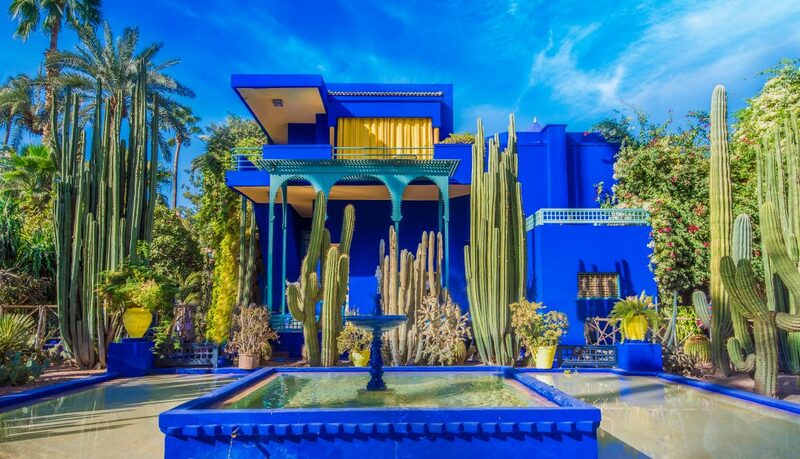 Today, the property houses a botanical garden, as well as the Berber Museum, the Islamic Art Museum of Marrakech, and the Musee Yves Saint Laurent. The museum collections and gardens attract hundreds of thousands of visitors each year. It’s a true sign that this estate wasn’t just revived to it’s old glory – it’s taken on a life of its own. 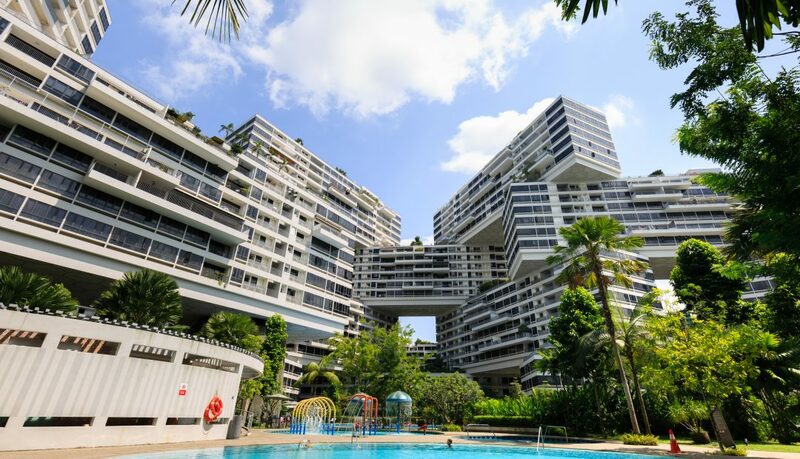 The Interlace was awarded the Urban Habitat Award in 2014 and went on to be named Building of the Year in 2015, being praised for its unique design and concept of community living. The building has been met with universal applause and could lead the way for many similar projects. Nope. 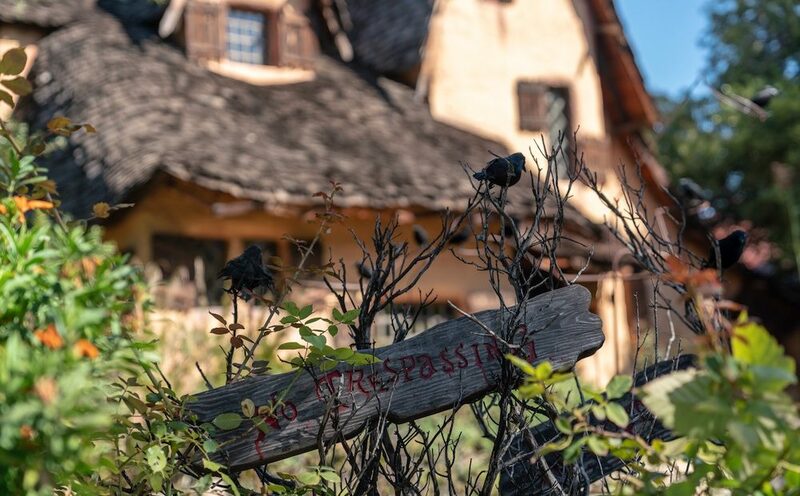 You’re not in the middle of a Hansel and Gretel movie…you’re in Beverly Hills. 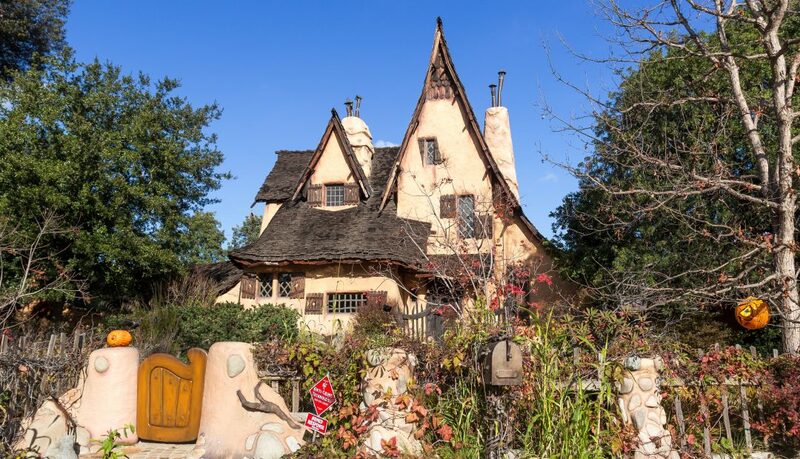 The Spadena House, known more commonly around LA as the “Witch House” is a Hollywood staple that’s been featured in movies such as Clueless and has served as in the inspiration for the sets of various Disney films. Built in 1921, this home was designed by Hollywood art director Harry Oliver in his trademark storybook style, Since then, owners of the home have continued to embrace the house’s legacy and reputation. To this day, you can walk by the corner of Walden Drive and Carmelita Avenue and feel like you’v been dropped into a Grimm’s fairytale. Don’t see it yet? Look a little harder. 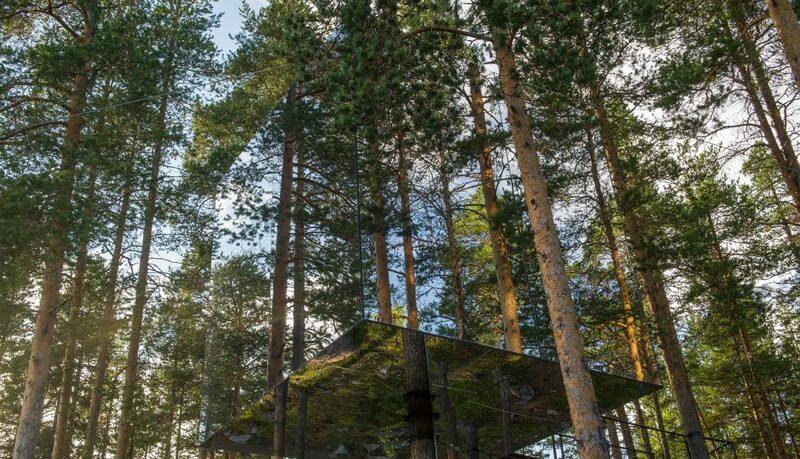 That’s the Mirrorcube, one of Treehotel’s seven guest cottages that’s suspended within the forest. Treehotel is the wilderness refuge you’ve always dreamed of, and it’s variety of cabins include The Birdnest, The Dragonfly, The Bluecone, and my personal favorite… The UFO. If hanging out in the woods isn’t your thing, you can always stay in their guesthouse. In the summer, cabins are competitively priced (between $150 to $300 USD a night). 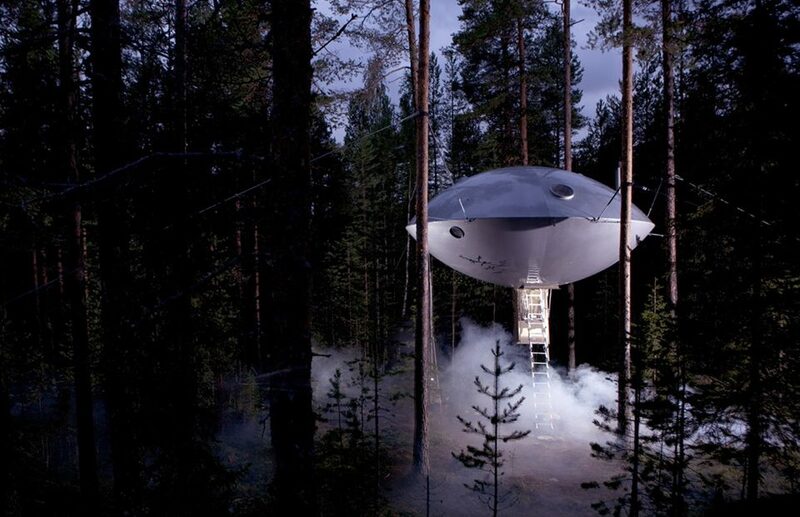 If you had a choice between the Hilton or a UFO in the woods…. why wouldn’t you pick the UFO? 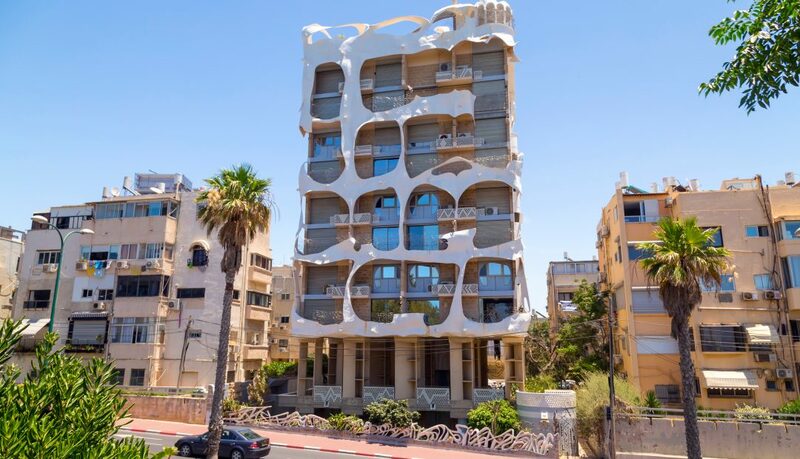 Although very similar to Gaudi’s famous (and unique) style, Crazy House was built by Syrian-born architect Leon Gaignebet (also called Leon Geneva). The building looks very different depending on which side you view. 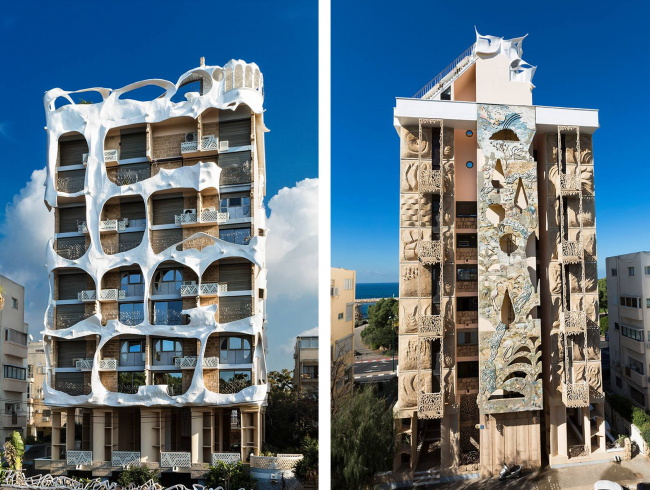 The architect has described the odd and seemingly incoherent sides of this building as “East and west, masculine and feminine, mineral and natural.” But whatever your thoughts on the building, one thing remains clear: You can’t look at this building and not form an opinion. The Dakota is everything a historic building should be. 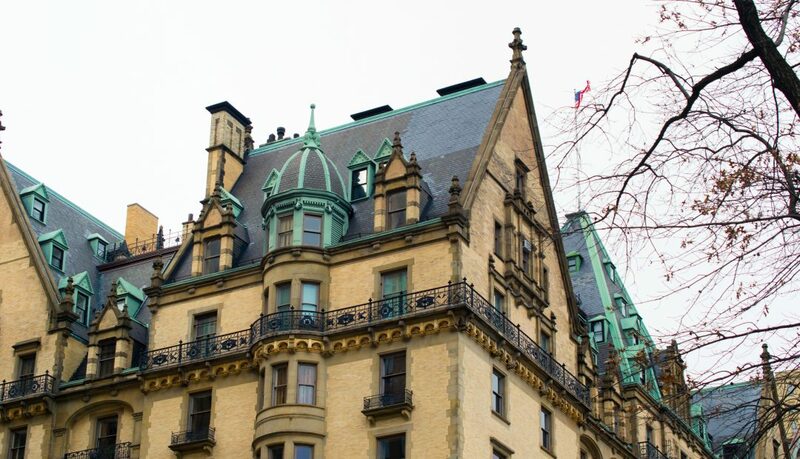 Adorned with turrets, gables, dormers, spandrels, niches, and balustrades, it’s safe to say that the Dakota is ornate. It’s one of those buildings that you could look at for hours and keep noticing new detail after new detail. 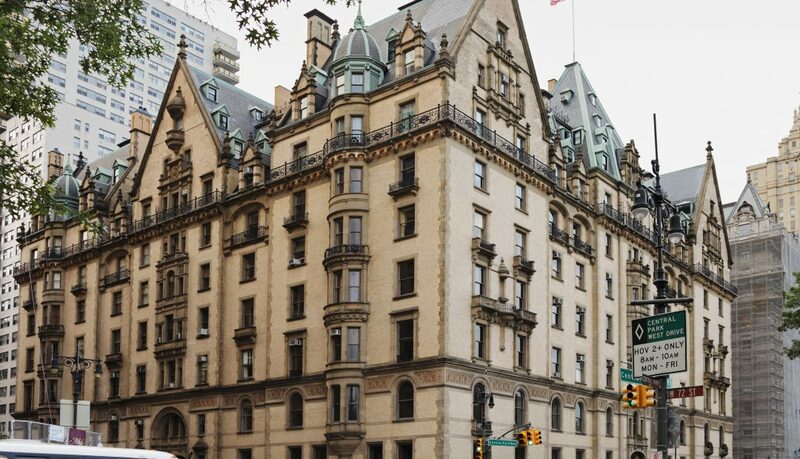 Since it’s construction in 1884, the building has served as the setting for the horror classic Rosemary’s Baby and has been the residence of many famous individuals. Most notably, it was where John Lennon and Yoko Ono lived when Lennon was assassinated. The shooting happened directly under The Dakota’s main archway. Now the building is visited by Lennon fans from all over the world, and across the street in Central Park lies Strawberry Fields, with a John Lennon memorial. With it’s breathtaking design and illustrious history, the Dakota has earned its place as one of the world’s most fascinating buildings.